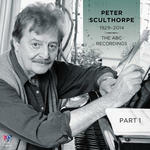 CD: [APRA - Australian Music Centre Awards 2003 nominees for orchestral work of the year]. [APRA - Australian Music Centre Awards 2003 nominees for orchestral work of the year]. The end of all journeys (2002) for full orchestra Andrew Batterham 14 mins, 50 sec. Guyuhmgan for full orchestra Georges Lentz 13 mins, 16 sec. Ngangkar (2000) for full orchestra Georges Lentz 13 mins, 16 sec. Three Miró pieces (2002) for full orchestra Richard Meale 21 mins, 14 sec. Non-commercial recording. For reference use only. Score: Three Miró pieces / Richard Meale. Score: The end of all journeys / Andrew Batterham. Score: Ngangkar : for orchestra / Georges Lentz.